All it takes to record a story is a smartphone or a computer. You almost certainly already have the right app on your phone to record audio. 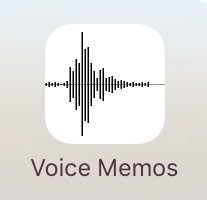 For Apple devices, look for an app called Voice Memos. 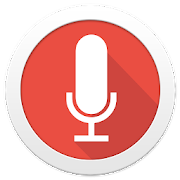 For Android, look for Audio Recorder. Anyone who was alive during the 2008 campaign has a story to tell. Our goal is to capture what it felt like to live through this historic election, and what it felt like to see the first African-American President of the United States inaugurated on the National Mall in Washington, DC. So sit down with a friend, a neighbor, a grandparent, or someone you know with a story for an interview. Or simply record your thoughts on your own. Note: You should conduct interviews in a quiet, indoor room so the audio is clearly recorded. If you are interviewing someone else, please make sure you have their permission before sharing their reflections. Familiarize yourself with the interviewee’s experiences and background, and determine which questions you might ask during the recorded interview. Ask them to go through their own emails, photos, or journals from 2008 and inauguration day in order to jog their memory. Build your list of potential open-ended questions (a list of suggested questions can be found on obama.org/history/interview-questions/, though you should not stick exclusively to the script). Conduct a video- or audio-recorded interview using a computer or a smartphone. State and spell your first and last name and state today’s date for the recording and ask your interviewee to do the same. The interviews should last between 15-60 minutes. Do not stick exclusively to your script. Try to get them to focus on what it felt like to live through that period. Listen closely to the interviewee and ask follow up questions to draw out their story. Following the interview, submit the recording—and anything else you’d like to share—below. Make sure you keep a copy of your recording for yourself! If you’re choosing to interview someone, take a moment to get to know each other and think through the items below before you get started. You’ll need to include this information when you upload your interview below. Upload your video- or audio-recorded interview and include the interviewer and interviewee’s full names, dates of birth, and relationship to one another if applicable. By uploading, you are agreeing to the Obama Foundation submission terms.